I love abstract art! 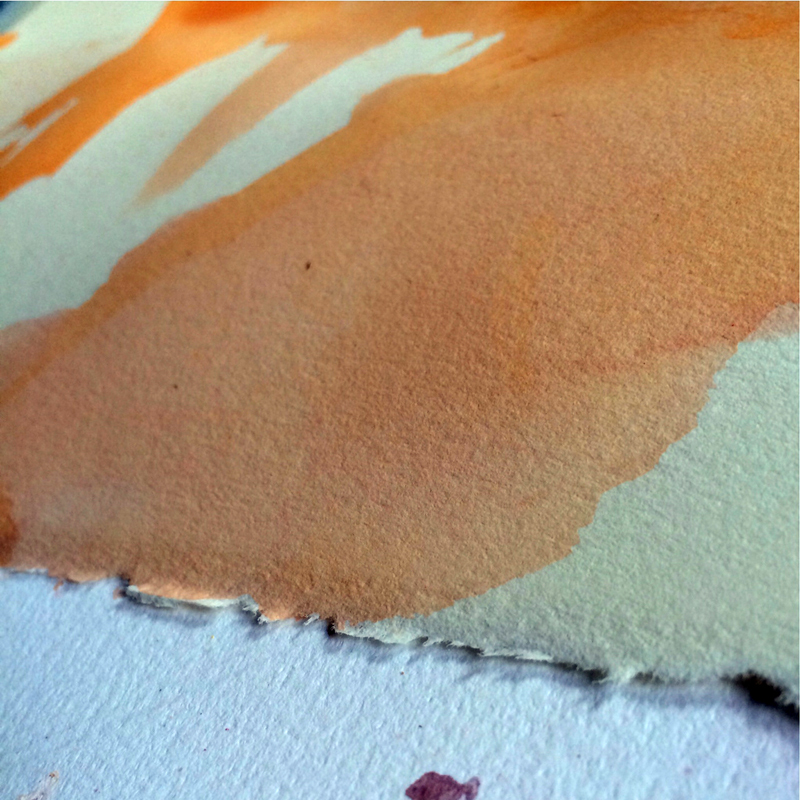 But I rarely can pull it off in a way I like while painting… my head gets in the way, I think. 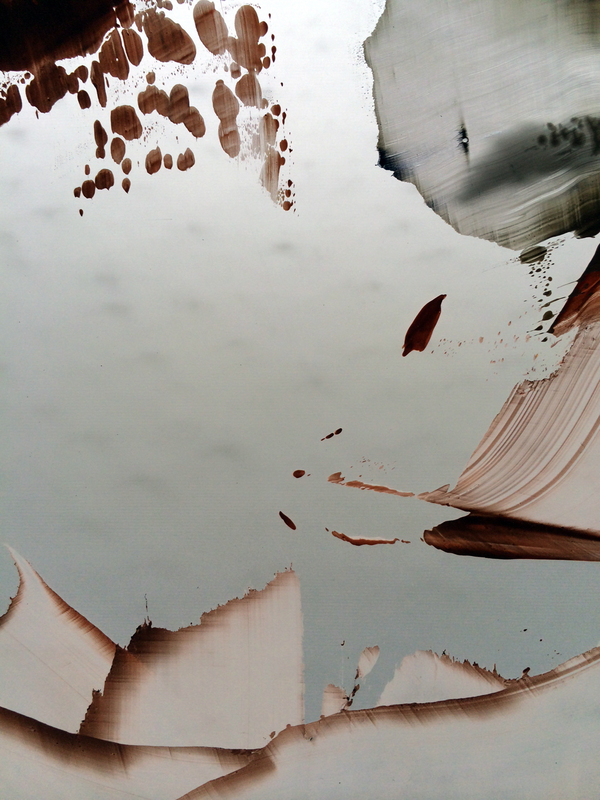 So I tried something different: I made random paint marks and then photographed isolated parts of them with my iPhone, composing in-camera. I like these. 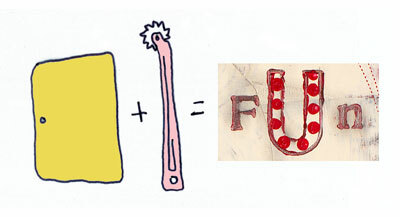 Online Summer Art Camp from Silly U on Vimeo. More details and Registration opens July 8th! Hello! 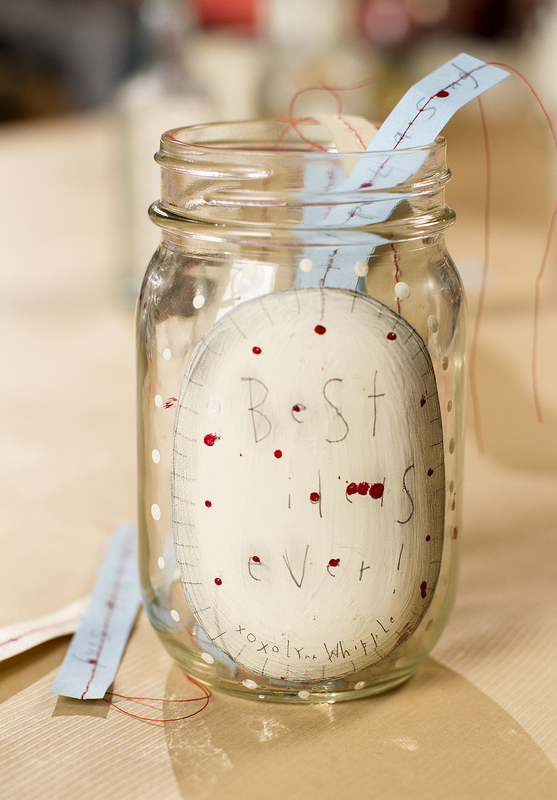 While we were in Florida shooting Lynn Whipple’s “The Joy of Collage” class, we also were able to shoot Lynn talking about this brilliant little project, a “Best Ideas Ever!” Jar. I hope you enjoy it! In the past periods like this are immediately forgotten as breakthroughs occur, and I have a good spell. But, you never know. That is the beauty and pain of art and life. We never know what is around the corner: you meet the love of your life, a friend is hurt, you stub your toe. 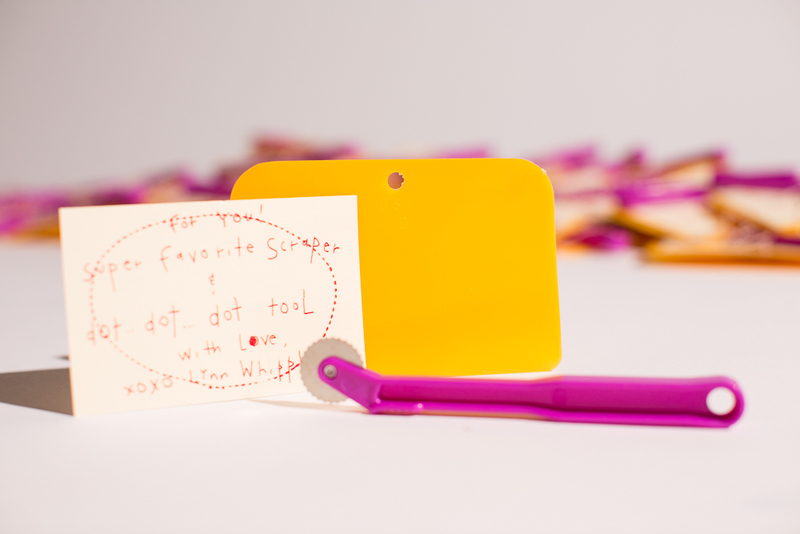 This blog is mostly a place where I can share with you the fun parts of creativity and life. The fact that I talk about “stubbed toes” occasionally keeps it real… but it can be kind of a bummer, too, I guess. I’m sorry about that! I’m actually in pretty good spirits this morning, but just felt the need to check in and show you this morning’s “mess,” above. Some days are just like that! Now that I’ve completely cheered you up, I hope you have a wonderful week! 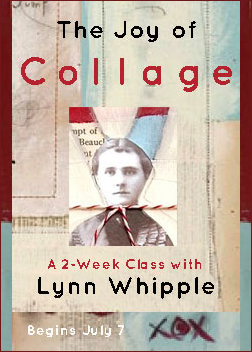 I am so excited to open registration for our next, new online class from the fabulous Lynn Whipple! 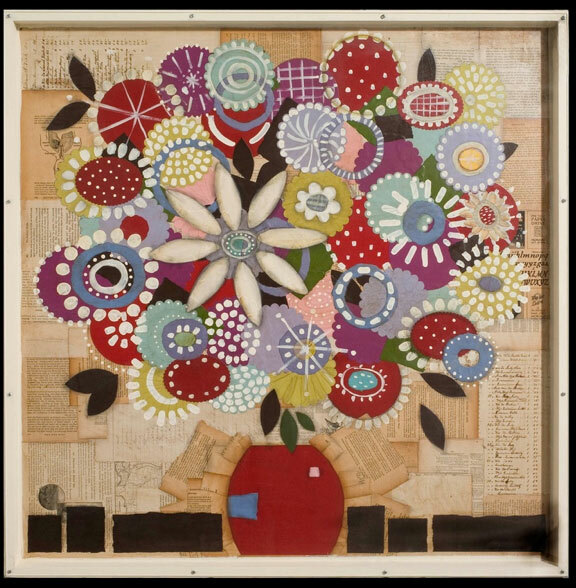 “The Joy of Collage” with Lynn Whipple from Silly U on Vimeo. A great BIG Welcome to the Joy of Collage! I would be honored to share with you all of my favorite collage techniques as well as a handful of time-tested special tricks for making a great finished work of art. My greatest hope is that you will have fun and enjoy the process. 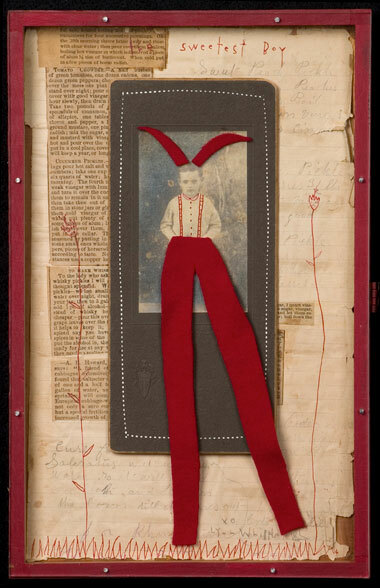 We will explore great ways to create fresh collages with a focus on building a story and surface. I will show you how to age your collage for a unifying look and we will incorporate drawing, painting, smudging, stamping and a little poetic thing I like to call … dot dot dot. My overall philosophy is one of freedom, play, exploration and most of all FUN!!!!!! 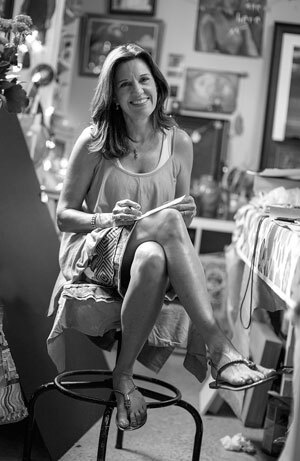 This class is all about YOU, and using your voice to make the things that make your heart sing! One of my favorite things in my in-person workshops is the show-and-tell and positive feedback session at the end of each class. I love hearing what each artist has to say about what they learned and how their pieces developed! Happy accidents and revelations are the best! I am so glad we will be able to learn from each other this way in this online format. SIGN UP TODAY! For all the details, click HERE. BONUS! 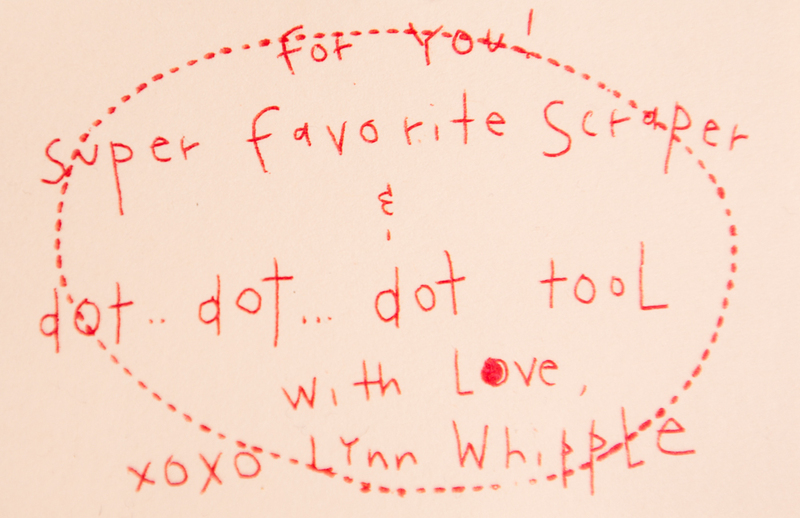 If you sign up by Friday, June 20th you will be gifted Lynn’s favorite dot dot dot sewing tool and yellow scraper in the mail. (International orders, too!) Supplies limited to 150. 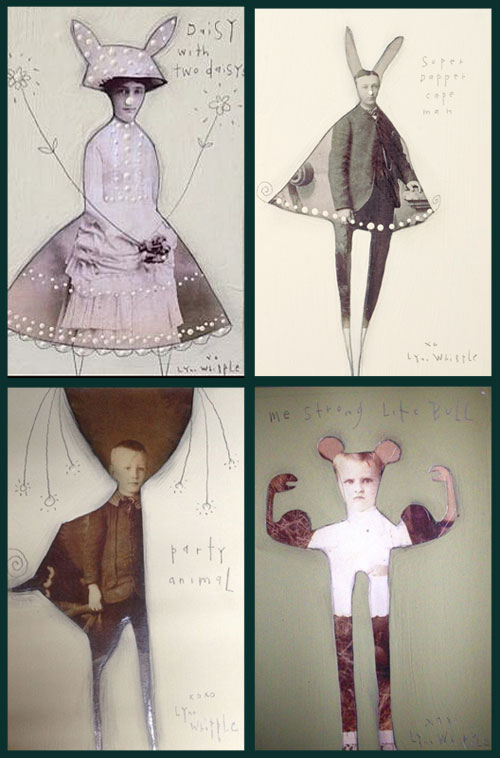 “Imaginary Creatures” Online Class from Silly U on Vimeo. Take this class if you love animals, want to learn more about watercolor, or just want to explore the “random” and “play” factor in drawing and painting. This is a repeating class. 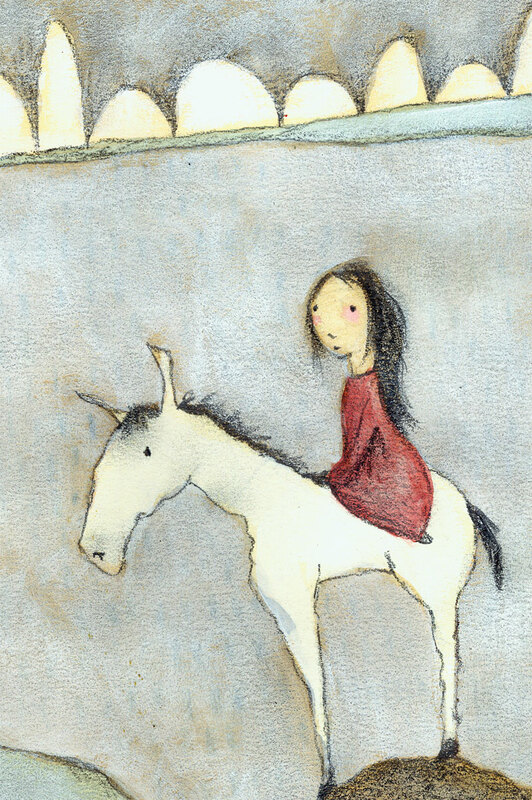 If you have previously taken “Imaginary Creatures” and would like to join the fun at no additional cost, email me at carla[at]carlasonheim.com and I’ll put you on the list. Thanks! 1. 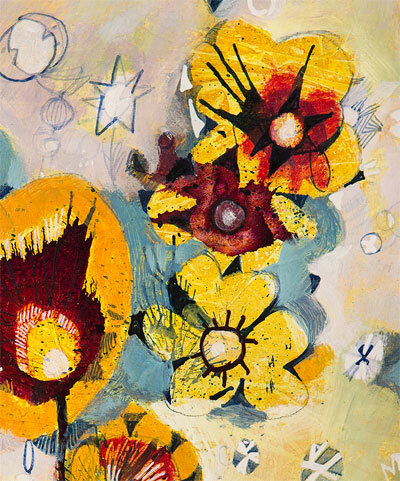 Diane Culhane’s Next Online Class: “Paint Your Garden: Language of Paint” begins tomorrow, June 2nd! 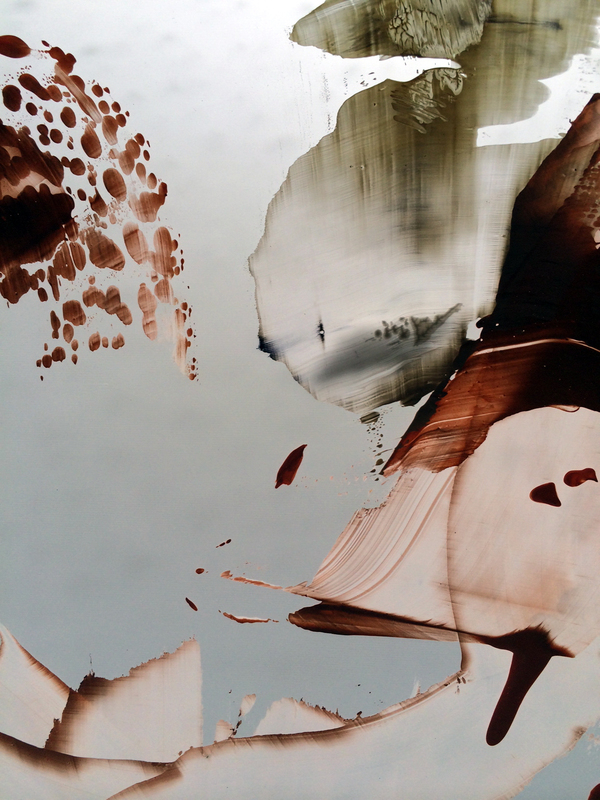 In this two-week class you will create a series of small “vignettes” using six different acrylic painting techniques, as well as take these techniques to three larger, finished paintings. This is a fun one! Details HERE. 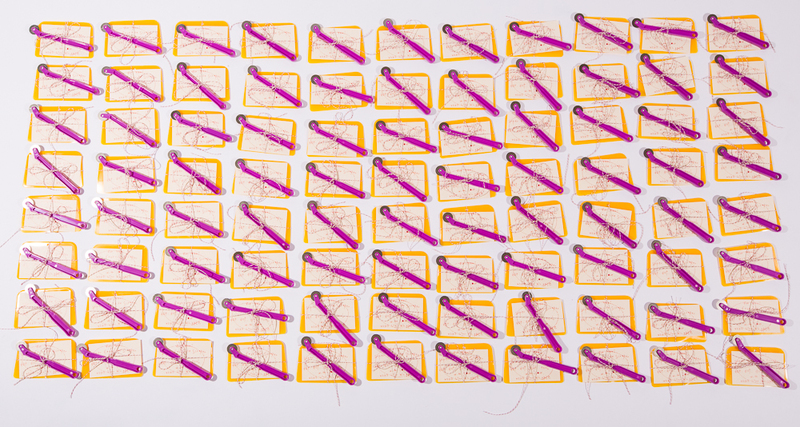 Teaching Out of the Box: An Art-Journaling Event August 12-13, 2014. 2. Join my friends Dar James and Deb Barends (with special guests Diana Trout and Lisa Firke) at the “Teaching Out of the Box” Fourth Annual Creativity Institute in Flemington, NJ. I was lucky to be able to teach at their first event in 2011 and had a wonderful time! Just a wonderful learning environment. Details HERE. 3. 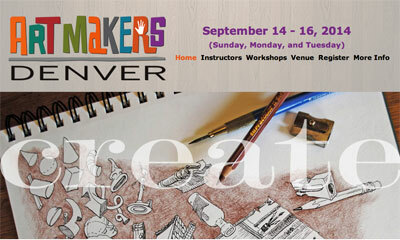 My three classes at Art Makers Denver in September are the only in-person workshops I’m teaching in 2014. I’m teaching “Gelli Plate Printmaking,” “Gelli Plate PLUS,” and “Blobimal Artist Books.” This one has a lot of wonderful to choose from if you’ve already taken my classes… details HERE! Tomorrow Steve and I head to Florida to film our next fabulous artist… stay tuned for details! And have a wonderful day.